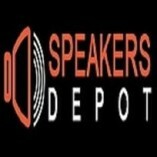 The Speakers Depot is one of the most popular and known place where you can get valuable and useful promotional items. We have a variety of custom portable speakers and other verities. Know more information from our website!